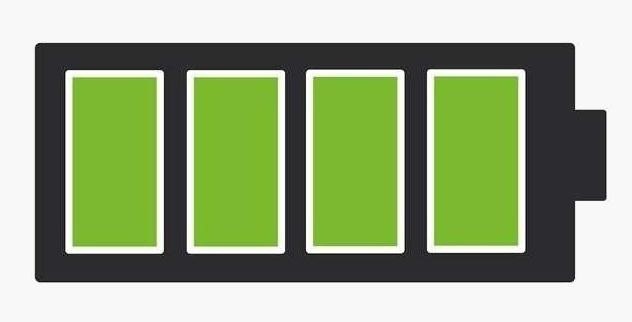 When it comes to our smartphones and tablets, we're always on the lookout for ways to beat the oh so common rapid battery depletion problem that affects practically every mobile device. We'll do anything and everything to keep our battery life at an optimum, from turning off certain features (Wi-Fi and Bluetooth) to removing widgets and applications that use an exorbitant amount of CPU. One of the most popular and efficient ways of saving battery is to lower the screen brightness. Usually, we tend to have the screen at an unbelievably high brightness level, when in fact a fraction of that level would suffice. The problem with this is that adjusting the brightness from indoor to outdoor and day to night can become a hassle, especially if you're constantly on the move. 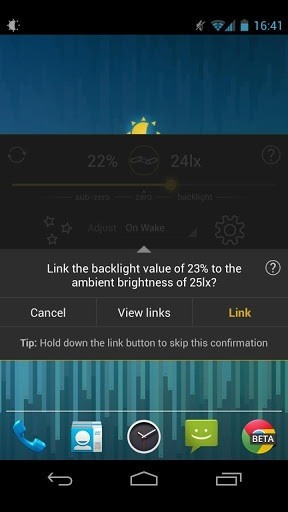 To combat the annoyance of constantly adjusting, developer Vito Cassisi has created Lux Auto Brightness, an application that intelligently adjusts the brightness of your display based on the environment you're in, which works wells on Android devices like the Nexus 7, Samsung Galaxy S3, and HTC One X. If you step into room with almost no lighting, the application will automatically lower the brightness of your display, not only giving you a comfortable reading experience, but also saving battery in the process without you having to go through your settings and manually adjust it. If you don't like the way that Lux is adjusting, you can teach it to behave a certain way. All you have to do is open the Dashboard and adjust the brightness levels to your desire, hold the link button down, and the app will now use this as its new reference from now on. Power-user settings such as choice of interpolation, sensor debugging, and linked sample editing. 'Ascending' auto mode for phones with inaccurate light sensors. Gradual fade for backlight adjustments. Astronomer mode adds a red filter to the screen to preserve the eyesight of stargazers. 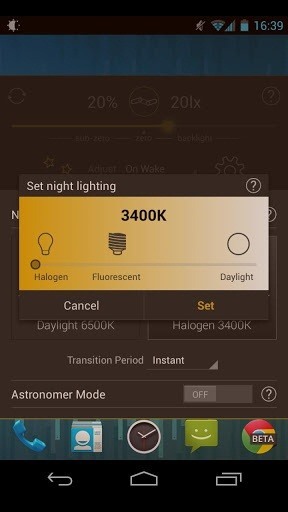 Automatic night mode, to change the color temperature of the display for comfortable night time viewing. You can check out the free lite version of Lux, but with many restrictions. You can also purchase the full version of Lux Auto Brightness and receive a full refund whenever you'd like, no questions asked.